NHS Professionals saves our health service millions of pounds each year. The government are hoping they can sell it off with almost no scrutiny. The government are trying to sell off a key part of the NHS that provides essential staffing to Trusts across England – with little or no Parliamentary scrutiny. 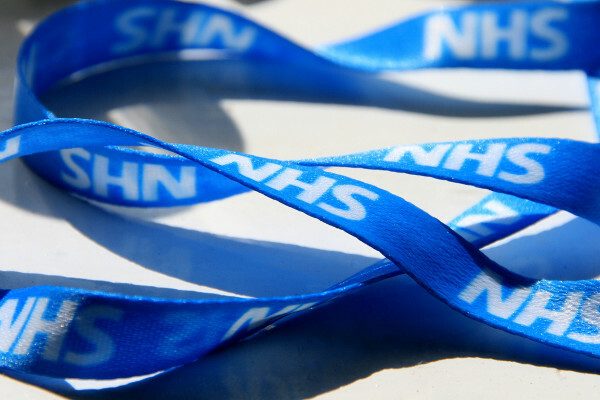 NHS Professionals provides last-minute or replacement staffing for around 60 of 200 NHS trusts in England, meaning many hospitals don’t have to rely on expensive private agencies. According to the organisation, they provide more than 100,000 specialists to the NHS through the bank. Yet the government is planning on privatising a 75% stake – under the radar. Left Foot Forward can reveal that Eleanor Smith – newly-elected MP for Wolverhampton South West – will be fronting the campaign to immediately halt the plans, launching an Early Day Motion in Parliament this week. “The government has wasted nearly £2m trying to sell off an organisation that saves the NHS tens of millions. It’s madness. “NHS Professionals has played an important role in reducing reliance on expensive private agency staff. Green Party co-leader Caroline Lucas is tabling a series of written questions for the Department of Health about the sale, its timetable, the bidders, and the overall cost. The government wants to finalise the sale by the end of August 2017. Campaign group We Own It told Left Foot Forward that 10-20% of the money spent on agencies in NHS goes to profit – whereas NHS Professionals has no profit motive. It’s estimated that between £300-600m per year goes straight into agencies profit margins in the NHS. NHS Professionals currently saves the Trusts that they are partnered with £70 million per year by taking a low commission as compared to private agencies. Staffline Group, a recruitment and staffing company are in the running to buy the majority stake, while the only other competitor is believed to be Aurelius Equity Opportunities, an international investment firm based in Europe. A spokesperson for We Own It called the process ‘shady and secretive’, adding there has been no consultation on this privatisation. The sell-off appears to be bypassing Parliament, with no vote planned. We Own It have launched a petition opposing the sell-off, which has been signed by over 15,000 people so far, and are talking to bidders and the Department of Health to try and halt the move. NHS belongs to the people. No private company should be allowed to make a profit from a public service. Having just completed my Employment Law Diploma, where the final paper was on whistle blowing, moving NHSP to private hands would remove ANY disclosure protection. The top 2 items of expenditure are PFI (which no one will discuss), and staff. The despicable tories LAUGHED after turning down a miserly pay award for people that, only 2 weeks earlier, they were lauding to the charred rafters of Grenfell Towers. The magic money tree is going to have to find some serious loot to right the penny- pinching wrongs of inadequate cladding. This year, plebs are far more likely to be killed by corporate greed, than any terrorist.